Google is the most popular search engine on the Web, but most people don't realize how much more powerful they can make their Google searches with just a few simple tweaks. 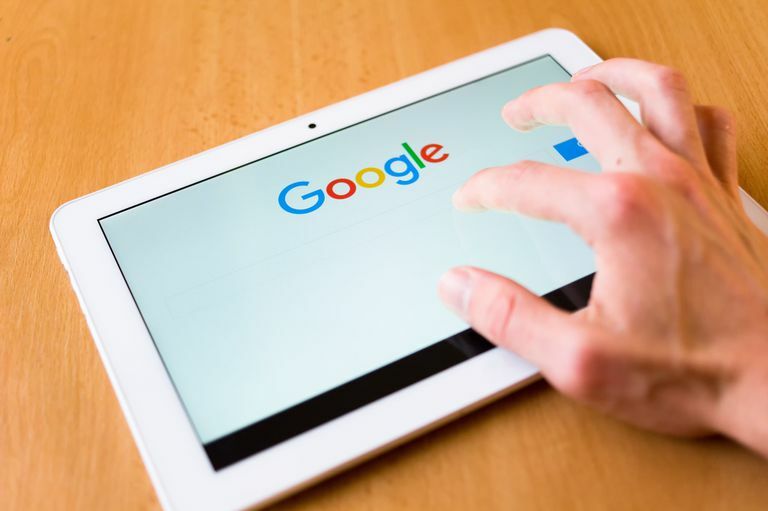 Because the search engine is flexible and uses both natural language processing and Boolean Search capabilities, there is no limit to the ways you can search Google to find the information you need. Of course, knowing a few common search commands, like those listed below, can really up your search game so you spend less time searching for the answers you need. If you want Google to return your search as a complete phrase, in the exact order and proximity that you typed it in as then you’ll need to surround it with quotes; i.e., “three blind mice.” Otherwise, Google will just locate these words either separately OR together. One nice feature of Google's search capabilities is that you can use Boolean Search terms when creating a search. What that means is that you can use the "-" symbol when you want Google to find pages that have one search word on them, but you need it to exclude other words commonly associated with that search word. The order in which you type your search query actually does have an effect on your search results. For example, if you are looking for a great waffle recipe, you’ll want to type in “waffle recipe” rather than “recipe waffle”. It does make a difference. Google automatically excludes common words like “where”, “how”, “and”, etc. because it tends to slow down your search. However, if you’re looking for something that actually needs those words included, you can “force” Google to include them by using our old friend the addition sign, i.e., Spiderman +3, or, you could use quotation marks: “Spiderman 3”. This is one of those “wow, I can do that?” kind of Google searches. Here’s how it works: just add two numbers, separated by two periods, with no spaces, into the search box along with your search terms. You can use this number range search to set ranges for everything from dates (Willie Mays 1950..1960) to weights (5000..10000 kg truck). However, be sure to specify a unit of measurement or some other indicator of what your number range represents. You’re asking Google to find all the Nintendo Wii’s within the price range of $100 to $300 here. Now, you can use pretty much any kind of numerical combination; the trick is the two periods in between the two numbers. Ever come across a word on the Web that you don’t know? Instead of reaching for that bulky dictionary, just type define (you can also use definition) word (insert your own word) and Google will come back with a host of definitions. I use this one all the time not only for definitions (mostly tech-related), but I’ve also found it’s a great way to find detailed articles that can explain not only the word you’re looking for but the context in which it most commonly occurs. For instance, the buzz phrase “Web 2.0” using the Google syntax of define web 2.0 returns with some really interesting and practical stuff. And so on. Google can also do much more complex problems and conversions. All you have to do is type your math problem into the search bar. Or, if it's a complex problem with mathematical operators, you can search Google for the world "calculator" and the Google calculator will be the first result you see. From there, you can use the number pad provided to enter your equation. Some folks struggle to spell certain words without a spell check – and since we don’t always work within a medium that offers an automatic spell check on the web (blogs, message boards, etc. ), it’s so nice to have a built-in Google spell checker. Here’s how it works: you just type in the word you’re struggling with into Google’s search box, and Google will very politely come back with this phrase: “Did you mean…(correct spelling)?” This is probably one of the most useful Google inventions ever. If you've ever visited the Google homepage, then you'll have seen a button right under the search bar titled "I'm Feeling Lucky." The "I'm Feeling Lucky" button takes you instantly to the first search result returned for any query. For instance, if you type in "cheese" you go straight to cheese.com, if you type in "Nike" you go straight to the Nike corporate site, etc. It's basically a shortcut so you can bypass the search engine results page.